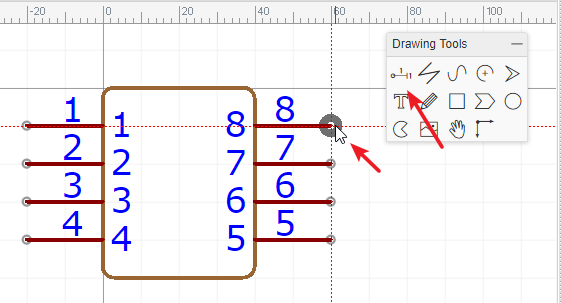 Using Schematic Library Wizard and Group/Ungroup… is a quick way to create schematic symbols but they are placed directly into the schematic that they are built in. 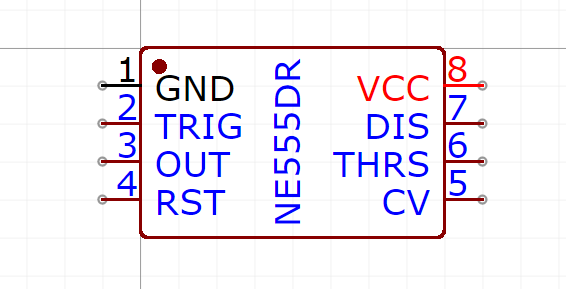 It is possible to reuse them by copying them (CTRL+C hotkeys) from the schematic they were created in and then cross-document-pasting them (CTRL+SHIFT+V hotkeys) into a different schematic but this quickly gets messy if you need to copy symbols that were created in several different schematics. 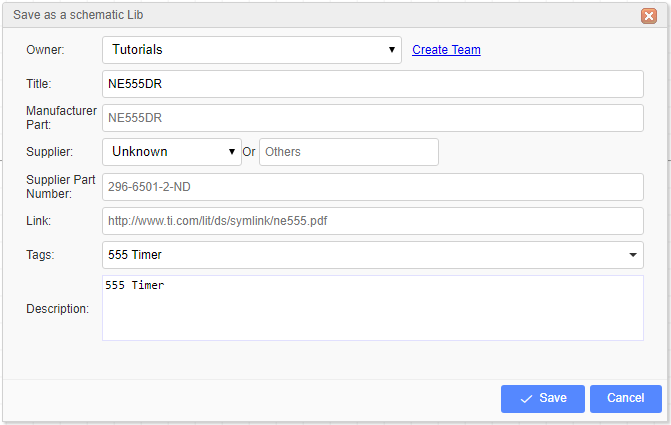 OK, you could keep copying new symbols into a dedicated “symbol library” schematic sheet to save searching for them but EasyEDA offers you an easier way to create and manage your symbols in a library. This opens the New SchematicLib symbol editor. For example, using the NE555DR, the datasheet you can refer LCSC: NE555DR. And then create the symbol and place the pins for the library base on the datasheet. 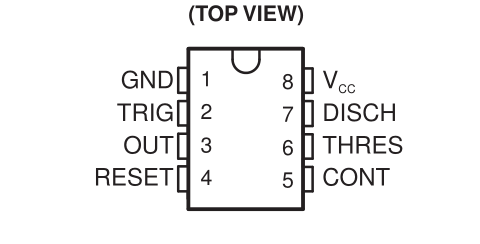 This component have 8 pins and names. The more information of Schematic Library Wizard please refer next section. The Pin dot must keep out side as the image indicated, it is connecting with the wires. The more information please refer SchematicLib Attributes - Pins Section. 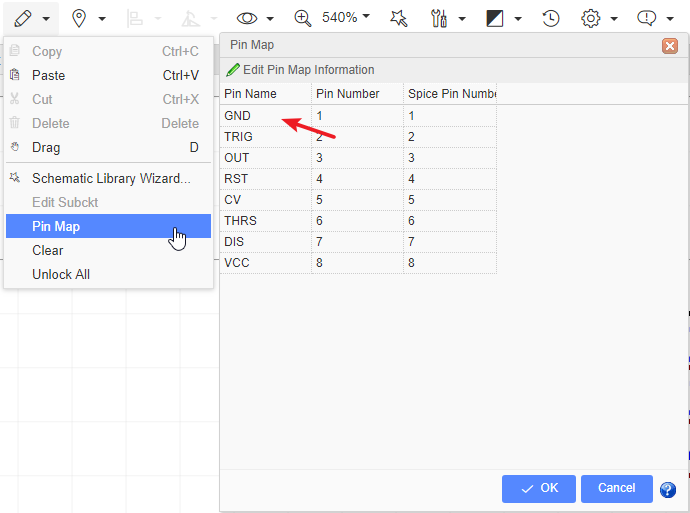 Via Edit > Pin Map…, change Pin names and Pin numbers. For some complicated IC, will use the alphabet for the pin number. such as change Pin length, place text, change Pin color, Pin attributes etc. If the schematiclib need to assign the packahe, the Pin number should match the package’s Pad number. The detail of the package assign please refer the Footprint Manager section at previous. You can via: “Topbar - Place - Set Canvas Origin - By Center Grid of Symbols” to set the origin. 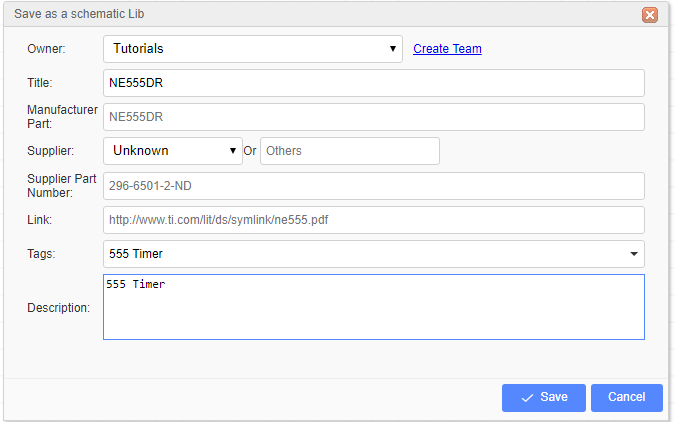 You can set this library’s owner, datasheet link and tags etc. Then a schematic library is created finish. And the you can find it at “Libraries - SchematicLib - Personl” on the left-hand. Note the Origin Point. 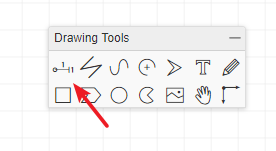 To simplify rotating your symbols when they are placed into the canvas, make sure all of your symbols are created as near as possible centered around that point. Suggesting the first Pin/Pad or its center to be the origin point. Please make sure all pins dot are placed on the grid, otherwise, when place the library on the schematic will causing the wiring difficult. We have already touched on how EasyEDA can support Multi-part Components but how do you create multi-part components? EasyEDA provides a sub parts facility to do this. After creating a part, you can right-click the part in the Libraries > SCH Libs > Personal > Created section to pop up the content menu. Suppose you have created your own symbol for a 74HCT04 hex inverter. Click again to add 74HCT04.2 , up to 74HCT04.6. 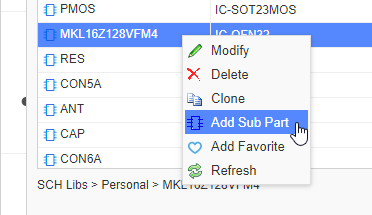 Then double click on each sub part in turn to modify the Pin Name and Number attributes. Symbols pins are the most important part of any Schematic Lib symbol. They are the things that allow wires to be attached to symbols to connect up your circuit. Before placing it on the canvas, you can use the rotation hotkey or rotate and flip from the menu to rotate it to the right orientation. Make sure the Pin Dot(black dot) is in the right position. The Pin Dot will be used to connect your wires or netlabels. Whenever a PIN is either placed as directly onto the canvas or as part of a symbol, the mouse has to point to the Pin Dot position to automatically start the Wire mode or to join a wire to it. 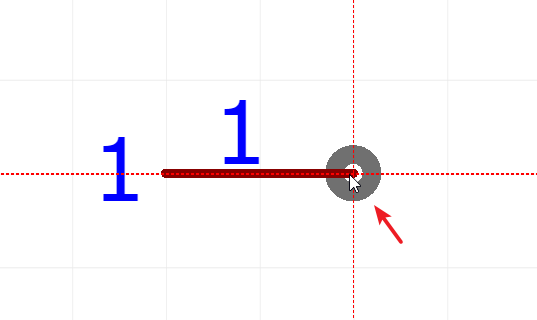 Whenever a Pin is placed as part of a symbol, the Pin dot should be outside of — and pointing away from — the symbol like in example 1(correct position), inside or pointing towards the symbol as shown in example 2(wrong position). Start-X and Start-Y: The pindot position. Sometimes it may be difficult to move the pin to the desired position using the mouse, so you can move the pin via Start-X and Start-Y. 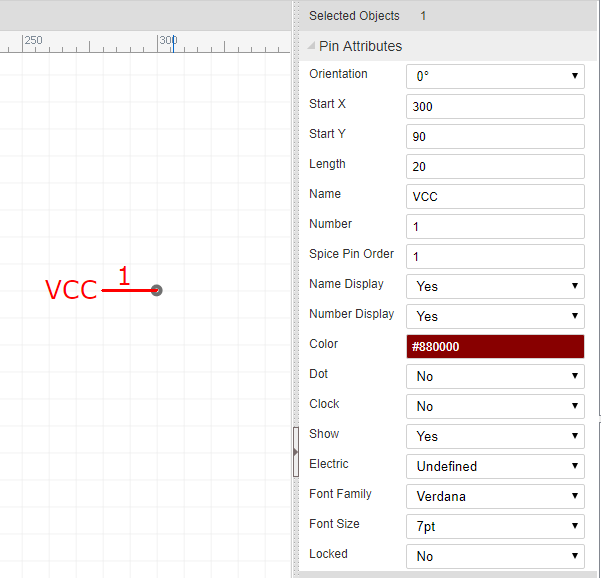 Name: In this example, VCC is the name of the Pin. Number: In this example, 1 is the number of the Pin. This number is the pin number of the device in a physical package and so will be the pin number used in the device footprint for that device in that package in your PCB lib. Note that you can use alphanumeric identifiers such as; A1, B1, C1, A2, B2 and so on as the Number. Spice Number: These are the pin numbers used to connect your symbol to the corresponding pins defined by the .model or .subckt used to simulate your device. The pin numbers of the simulation model may be different from the physical package pin numbers and - unless the model is specifically created to model multiple devices in a single package - do not change for different instances of a device in a multi-device package. The Spice Pin order must be numerals only. Name Display: If you don’t want to show VCC, switch it to NO. Number Display: If you don’t want to show 1, switch it to NO. You can adjust the Name or Number position using your mouse but note that rotate and flip applies to the whole pin including the name and pin number; these items cannot be rotated and flipped independently of the pin itself. Note also that rotate and flip actions do not result in upside down or mirrored pin number or names. Color: You can set the Pin to different colours, such as PIN3:CLK as orange and PIN4:GND as blue. In this example, the PIN1 is set as color #880000, but it shows as red, because it is selected. After deselecting it, the pin will appear color #880000. Dot: adds a circle to the inside end of the pin to indicate logical (or analogue) inversion. Clk: adds a > to the inside end of the pin to indicate that the pin is logical clock input. Show: YES/NO. Allows you to hide the pin. 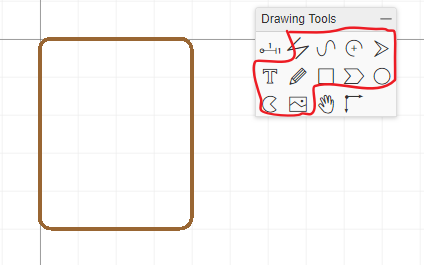 When set it to NO, this Pin will be hidden when the symbol is placed on the schematic editor canvas, and then create a net which name same as this pin name. EasyEDA provides Electrical Rules Checking (ERC) right now, But you still need to set electric of your Schematic libs. If you set the PIN as Power and set the pin to be hidden, then the Pin will be connected by Name which is the NetLabel. If the Name is VCC, it will be connected to the net in your circuit with the NetLabel or NetFlag VCC. This is helps to keep the schematic clear and uncluttered when using Multi-part Components. After clicking Save, you will see it appears in Libraries > SCH Libs > Personal of the left hand Navigation panel. If you want to modify the tag for your new symbol: Libraries > SCH Libs > Personal > Select New Lib > More > Modify, or right-click new Lib > Modify, if your Lib doesn’t have the tags it will appears on All. You can control this part mounted or not on the PCB. If you choose No, this component will not appear in the BOM report. This function only works on BOM report. 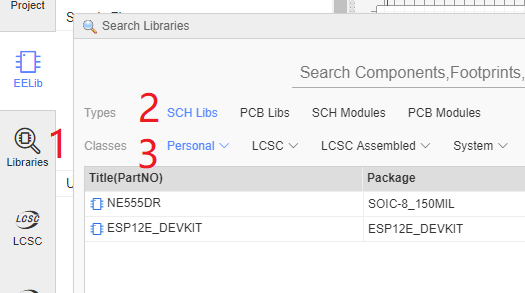 How to change Schematic library’s package? 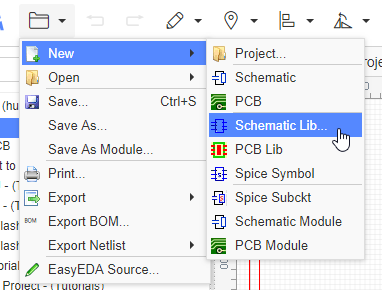 If you would like to built a PCB, you need to assign a package for your schematic library symbol. Although there are other ways to do this in EasyEDA, here is the right place to do it. When you set a package , the package’s pad numbers must match the schematic Lib’s pin number, otherwise, when you convert the schematic to PCB , there will miss several nets. Click in the Package input box, and the Footprint Manager dialog will open as used to do this task in the Schematic Editor. The more information please refer to Schematic - Footprint Manager section. 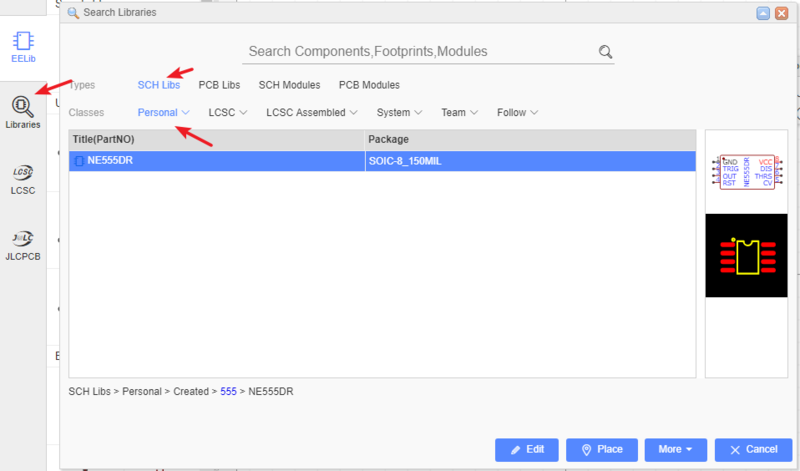 You have to assign the package via the Footprint Manager, otherwise, the Schematic lib will not get the package(PCBLib) correctly. The package is linked with SchematicLib by global unique ID not the title. The default Schematic symbol Prefix is U? If you create a resistor, you can set the Prefix to R?. It is filled required. You can change the schematic lib’s name here, it is can be different from the part’s file name. This is your registered user name. When Other EasyEDA’s users use your libraries, they will remember your contributions!